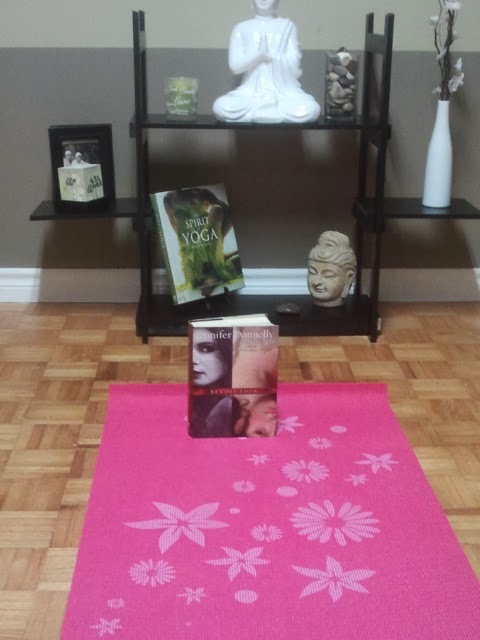 My favourite Book, Revolution by Jennifer Donnelly enjoying some morning Yoga! Be sure to stop by tomorrow for a hilarious Halloween guest post from author Heather Hildenbrand and a giveaway! Lovely picture! I love yoga too, but I've never read the book. I'll have to give it a try!